Because sometimes a blank canvas can be more than you’ve bargained for! Perhaps you’re at the point in the home buying process where you’ve set down roots in a Homes By Guardian community — The Pointe or Thomas Heights, both are premier Cheyenne neighborhoods — and you are finally ready to make your newly built home a sanctuary and a space that speaks to your personality. And, that can begin right out the front door with your landscaping! Not only does the indoor space of your new home build require attention, so does the front yard landscaping. At Homes By Guardian, we’re here to guide you into one of our Cheyenne new home communities — whether it’s picking the perfect molding to learning about the types of landscaping the HOA allows. 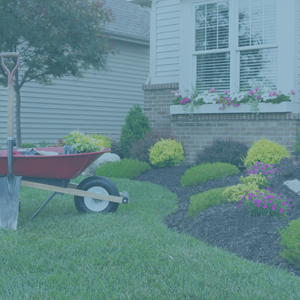 Follow along in today’s blog and learn more about how to choose landscaping for your new yard! If you’re not sure what to do with that vast land of dirt, aka blank canvas, don’t sweat it, you can turn the patch of dirt gathering into a beautiful, lush landscape in no time! Below are a couple of ways to get started! Dirt is the most important component of building a landscape plan that thrives and is able to withstand what mother nature throws at it, and unfortunately, dirt on a new construction site isn’t the most fertile. Begin by cultivating rich, abundant soil by adding in compost and nutrients to help it along. With the dirt conditioned, you can begin the most fun and creative part of your yard — landscape design. Plan the perfect walkway – You can create a traditional walkway or you can make it more dramatic — whatever the look and function you’re trying to achieve provide your guests with a charming and inviting pathway. Combine long, meandering curves that are at least 36 inches wide, but wider (54 inches) so people in wheelchairs and others can walk next to each other without feeling cramped. To add a visual aspect, lay bricks, slate, flagstone, or tiles. Invest in streetscaping – We know landscaping, but do you know streetscaping? Streetscaping is another function of curb appeal and what’s people see as they drive by your home. Not only does it boost your home’s value, but it also gives people inspiration or something to covet! If you’re in a ranch-style home, landscaping can be so one-dimensional from the street — add in some streetscaping. As a homeowner, you see your yard from one-direction, typically head-on, but consider the different angles and design your landscaping accordingly. How can you add depth without blocking the major features of your new home? Consider adding small trees and shrubs, with a mix of botanicals that draw the eye in — think peonies, roses, or even a hibiscus bush. 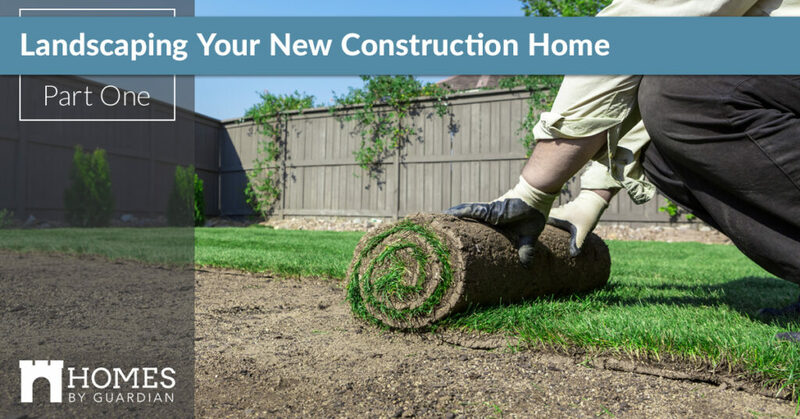 We’ve gotten into a good rhythm with ideas to begin your new construction landscaping project, but we’re going to leave you hanging for a bit! Stay tuned for part two and learn more to spark curb appeal landscaping! For more information on our thriving new construction Cheyenne communities, reach out today!